Digest Assoc. Ltd., 1977. Maple, Eric. The Dark World of Witches. New York: A.S.
Barnes & Co., 1962. Pennick, Nigel. Secrets of East Anglican Magic. London: Robert Hale, 1995. Museum of Witchcraft The world's largest collection of paraphernalia and artifacts related to folk magic, witchcraft, wiCCA and ritual magic is based in Boscastle, Cornwall, England. The museum was founded by researcher CECIL wiLLIAMsoN and a version of it was owned for a time by GERALD B. GARDNER. Williamson's personal interest and research in witchcraft—he also founded the Witchcraft Research Centre— led to his acquisition of thousands of magical objects and items of occult interest. After World War II, he conceived of the idea of opening a witchcraft museum as a way of having his own business and continuing his research. His initial site in 1947 was Stratford-upon-Avon, the birthplace of Shakespeare and a popular tourist destination, but local opposition soon forced him out of town. High Magic's Aid, there. The facility included a restaurant, the Witches Kitchen, for which Williamson had specially made dishes embossed with witches on broomsticks. The restaurant was the idea of Williamson's wife, Gwen, as a way to bring in business. Gardner purchased the buildings and restaurant from Williamson in 1952, but no exhibits. He placed his own magical and occult objects in it. 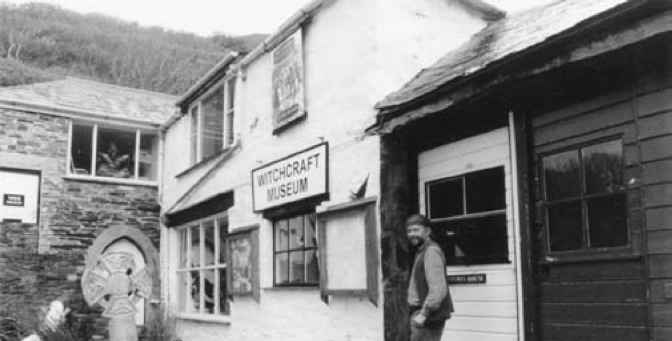 Williamson moved his exhibits back to England, establishing a witchcraft museum in Windsor near Windsor Castle in 1952. It was a success with tourists, but local residents took a dim view of it, and Williamson was persuaded to move elsewhere. He relocated to Bourton-on-the-Water in 1954. Local fear of witchcraft received media coverage that helped his business, but Williamson was plagued with ongoing harassment, including sigils marked on his door, dead cats left on his doorstep, and arsonry that destroyed a wing of the museum. where he established it as the Witches House in the picturesque harbor area of the village. In 1996, Williamson retired and sold the museum, including several thousand but not all of its exhibits, to Graham King and Liz Crow. King lives in quarters attached to the museum. King, a Pagan with interests in Witchcraft, had his own business manufacturing specialist cameras in Hampshire but wanted to sell it. He saw a newspaper article that told of the museum being for sale, and if no buyer could be found the collection might be sold as individual lots. He became interested in buying the entire collection and business. The deal was completed at midnight Samhain 1996. ALEISTER Crowley, swords and an altar slab used by ALEX SANDERS, and artifacts owned by other persons famous in modern Witchcraft and magic. Perhaps Williamson's most celebrated exhibits were the skeletons of Ursula Kempe, an Essex woman executed as a witch in 1582 (see ST. OSYTH WITCHES), and JOAN WYTTE, the "Fighting Fairy Woman of Bodmin Town," who died in jail in 1813. Williamson kept Kempe's remains for his private collection, but sold those of Wytte as part of the museum's 5,000-plus exhibits. Williamson never publicly displayed all of his collection, believing that some aspects of the real witch's craft must remain secret. Gardner's loan. According to Williamson, Gardner did not own enough objects to fill all of his display cases in Castletown, and prevailed upon Williamson to lend him some of his talismans and amulets. Williamson agreed, but took the precaution of making plaster casts and imprints of each metal item. The objects were still in Gardner's possession when he died in 1964. The museum and its contents were inherited by Monique WILSON, who, as Lady Olwen, had been Gardner's high priestess. Williamson said he asked for the return of his talismans and amulets, but Wilson declined. Williamson decided not to pursue the matter in court, but did pursue a more traditional remedy: a ritual CURSE. He called upon the power of the FAMILIAR spirits to "bring, and to cause, discomforture [sic] to the enemy." Just how much discomfiture the curse caused is not certain. However, Wilson did not keep the exhibits long, but sold them to Ripley's Believe It Or Not in America. Much of the collection has since been dispersed through sale; objects have even been offered over the Internet. Williamson kept the plaster casts and imprints. Reorganization. King and Crow reorganized the museum and freshened the tableaux, moving some of the more sensational ones, such as a mannequin of a partially clothed woman laid out as an altar for a BLACK MASS. In keeping with Williamson's original vision, most of the exhibits feature historical folk witchcraft and the "wayside witch" or village wise woman or CUNNING MAN. The museum also features modern Witchcraft and ritual magic, and shows the overlaps between Christianity, PAGANISM, Freemasonry, Rosicrucianism, alchemy and so on. King retained a small case on SATANISM, chiefly to educate visitors to the distinction between Satanism and Witchcraft. He added a room that recreates a traditional witch's cottage, with its collection of herbs and divination tools, and a mannequin of a wise woman doing her craft at her table. Exhibits also show the history of witchcraft and the persecutions, the role of stone circles and sacred sites in rituals, SCRYING and DIVINATioN, HEALING, sea witchcraft lore, the Horned God, the HARE and shape-shifting (see metamorphosis) and working tools of the Witch and magician (see witches' tools). The museum's policy is to display all aspects of folk and religious witchcraft, including items related to cursing used in the past by village witches. Cursing is not officially condoned in modern Wicca/Paganism. King removed Wytte's skeleton for a proper burial. Her empty coffin remained on display. The museum also functions as an information resource center for the media and public, and as an informal gathering place for Wiccans and Pagans. An independent club, "The Friends of the Museum," raises funds for the purchase of new exhibits. The museum collection continues to grow with donations. Many Witches bequeath their working tools to the museum in their wills, thus ensuring that their possessions are not abused after their death. On August 16, 2004, Boscastle was hit by torrential rain and a flash flood. The museum suffered damage to some of its exhibits and closed for repairs until March 25, 2005. Supporters donated funds, books and artifacts. "Museum of Witchcraft." Available online. URL: http://www. witchcraft.co.uk/boscastle.htm. Downloaded November 4, 2007.
names of power Secret names of God or deities, or words substituted for those names, which in MAGIC are used to raise power. Names of power were used by ancient Egyptians, Greeks, Hebrews, Assyrians and Gnostics, who believed that incredible power could be unleashed by the sound vibrations of the words. The most powerful of all names of power is the Tetra-grammaton, the personal name of God in the Old Testament, usually expressed as YHWH, the transliteration of the Hebrew letters Yod, He, Vau, He. The numerical values assigned to these letters add up to ten, which in Hebrew numerology represents the basic organizing principle in the universe. So awesome is the Tetragrammaton that for centuries it was seldom spoken, but was whispered only on Yom Kippur by a high priest. In the scriptures, substitute words were used, such as Adonai, Adonay or Elohim. 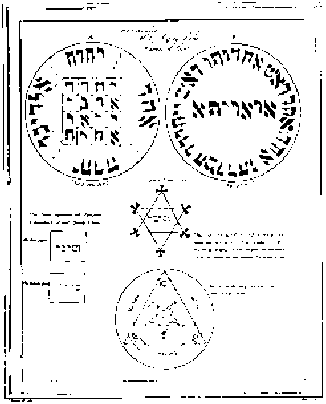 The exact pronunciation of the Tetragrammaton is not known; the most accepted is "Yahweh." A variation is "Jehovah." 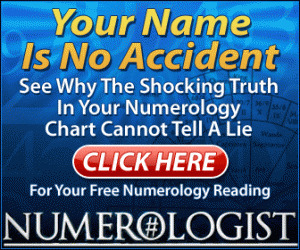 By using anagrammatical and numerological formulas, numerous names of power have been created for magical purposes. Agla, an abbreviation frequently used by rabbis, comes from the first letters of the Hebrew phrase, Aieth Gadol Leolam Adonai, which means "Adonai (the Lord) will be great to eternity." Amen is a word of power, because in Hebrew it adds up to 91, as does Jehovah Adonai. Some names or words of power are nonsensical, created for their rhythm or their numerical value. The es sence of the power unleashed by the words is not in the words themselves but in their intrinsic occult power and the faith of those using them. Aglon, Tetragram, vaycheon, stimulamation, ezphares, retetragrammaton olyaram irion esytion existion eryona onera orasym mozm messias soter Emmanuel Sbaoth Adonay, te adoro, et teinvoco. Amen. Most of the words are unrecognizable, but they probably contribute to the rhythm of the chant, which is important in the attainment of a state of frenzy on the part of the magician. and Practice (1929), Crowley describes AUGMN as "the Magical formula of the Universe as a reverbatory engine for the extension of Nothingness through the device of equilibrated opposites." nature spirits Guardian beings that exist in all life forms in nature, in the plant, animal and mineral kingdoms. 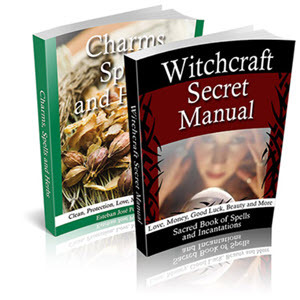 In contemporary Paganism and Witchcraft, nature spirits are treated with respect. Their participation and cooperation is sought to enhance rituals and stimulate communication between humankind and Mother Earth. When sites are selected for outdoor rituals, an effort is made to communicate with nature spirits to secure their cooperation and seek their guidance. Nature spirits manifest themselves through animal and insect noises, a rising of wind, a clearing of sky, the sudden presence of an animal or a flock of birds. They also can be perceived as forms and patterns of light and sound. necromancy An ancient art of conjuring the dead for the purpose of DIVINATIoN. Necromancy is condemned by the Catholic Church as "the agency of evil spirits," and in Elizabethan England it was outlawed by the Witchcraft Act of 1604. Throughout history, necromancy has been feared and reviled as one of the ugliest and most repugnant of magical rites. Necromantic rites are not part of contemporary Paganism and Witchcraft. Necromancy is not to be confused with conjuring demons or the DEVIL. The spirits of the dead are sought for information because they are no longer bound by the earthly plane and therefore supposedly have access to information beyond that available to the living. Conjured spirits are asked about the future and where to find buried treasure. Francis Barrett, author of The Magus (1801), said necromancy "has its name because it works on the bodies of the dead, and gives answers by the ghosts and apparitions of the dead, and subterraneous spirits, alluring them into the carcasses of the dead by certain hellish charms, and infernal invocations, and by deadly sacrifices and wicked oblations." There are two kinds of necromancy: raising a corpse itself to life and, more commonly, summoning the spirit of the corpse. The rituals for necromancy are similar to those for conjuring demons, involving MAGIC circles, wands, TALismans, BELLs and incantations, as prescribed by various GRIMoiREs. In addition, the necromancer surrounds himself by gruesome aspects of death: he wears clothing stolen from corpses and meditates upon death. Some rituals call for the eating of dog flesh, for dogs are associated with HECATE, the patron goddess of witchcraft, and for consuming unsalted and unleavened black bread and unfer-mented grape juice, symbolic of decay and lifelessness. Such preparations may go on for days or weeks. The actual ritual itself may take many hours, during which time the magician calls upon Hecate or various demons to help raise the desired spirit. The ritual customarily takes place in a graveyard over the corpse itself. 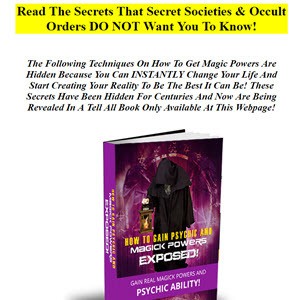 The objective is to summon the spirit to reenter the corpse and bring it back to life, rising and speaking in answer to questions posed by the magician. Recently deceased corpses are preferred by necromancers, for they are said to speak most clearly. If the person has been dead a long time, necromancers try to summon their ghostly spirit to appear. Once the ritual has been performed successfully, the necromancer is supposed to burn the corpse or bury it in quicklime, so that it will not be disturbed again. In the Middle Ages, many believed that necromancers also consumed the flesh of the corpse as part of the ritual. Some necromancers summon corpses to attack the living. This practice dates back as far as ancient Egypt and Greece and is still done in various parts of the world. One of the best-known necromancers is the WITCH of Endor, whose conjuring of the dead prophet Samuel for King Saul is recorded in the Bible; Samuel foretold Saul's doom. Apollonius of Tyana gained a great reputation in first-century Greece as a philosopher and necromancer. The 16th-century English magician John Dee and his companion Edward Kelly were reputed necromancers, though Dee never recorded any such activities in his dia ries. The 17th-century French magician, Eliphas Levi, attempted to conjure the spirit of Apollonius, an experience that left him badly shaken and frightened. Necromancy techniques were taught in medieval Spain, in deep caves near Seville, Toledo and Salamanca. The caves were walled up by Isabella the Catholic, who considered them evil. The numbers nine and 13 are associated with necromancy. Nine represents an old belief that there were nine spheres through which a soul passed in the transition from life to death. Thirteen was the number of persons who attended Christ's Last Supper, at which he was betrayed; Christ later rose from the dead. In VoDUN, corpses are "raised" from graves in rituals in which appeals are made to Baron Samedi, the scarecrowlike god of graveyards and zombies. In Haiti, the rites take place in a graveyard at midnight. They are performed by the person who is the local incarnation of Papa Nebo, father of death, and a group of followers. A grave is selected and white candles are implanted at its foot and lit. A frock coat and a silk top hat, the symbols of Baron Samedi, are draped on the grave's cross (if the grave has no cross, one is made). A ritual is performed to awaken Baron Samedi from sleep. While the god makes no visible manifestation, he signals his presence and approval by moving or flapping the frock coat or hat. The necromancers pay homage to the Baron and promise him offerings of food, drink and money, then send him back to sleep by tossing roots and herbs. The corpse is unearthed, and the incarnation of Papa Nebo asks it questions. The answers usually are "heard" only by the Papa Nebo representative. Newbury Witch (?-1763) An old woman, probably harmless, who was executed as a witch in 1763 by Cromwell's soldiers, near Newbury in Berkshire. The soldiers reportedly saw the old woman sailing on a plank down the River Kennet—by some accounts, the soldiers claimed she was walking on the water—and captured her as a witch and tried to shoot her. According to a 17th-century pamphlet, "with a deriding and loud laughter at them, she caught their bullets in her hands and chewed them." The soldiers then "blooded" her, a custom of the times in which a witch's forehead was slashed in the belief that the bleeding would drain out her power. One of the men put his pistol under her ear and shot her, "at which she straight sank down and died."